50 million views in 24 hours for Baahubali 2 trailer, BEATS Kabali, Dangal, Raees hands down - Bollywoodlife.com: "On March 16, The much-awaited Baahubali 2 trailer was finally out and it was everything fans it to be. After a spectacular first part, it was hard to imagine something better than that but how wrong were we? Part 2 is exemplary in every sense – right from the rich visuals to the breathtaking landscapes to the grand war sequences – each frame of Baahubali 2 trailer was a sight to behold. Soon into its launch, it became of one the most talked about trailers worldwide. Rave reviews had been pouring in on social media from fans, celebs alike regarding the trailer. Considering the response the trailers got in each of the languages, a record breaking number was soon coming. As per the latest update, The trailer has clocked in a whopping 50 million views ( 5 crore views) just within 24 hours. Yes, that’s the number this magnum Opus achieved within a day. 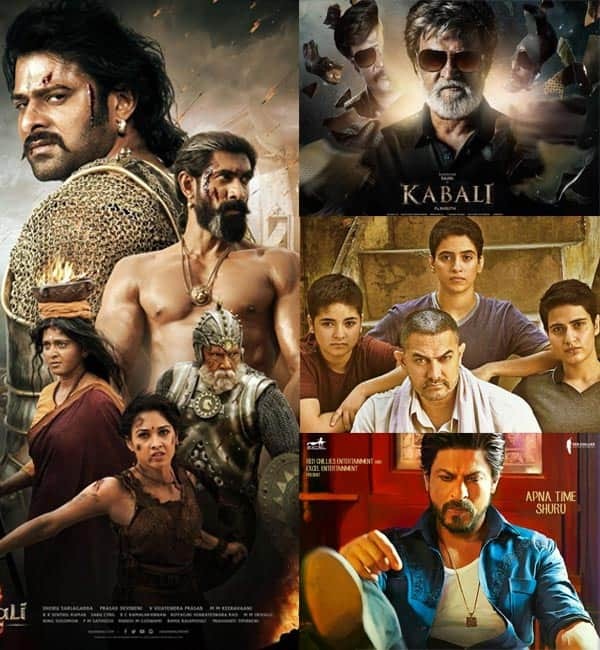 What’s more, it has clean beaten Rajinikanth’s Kabali, Aamir Khan’s Dangal and Shah Rukh Khan’s Raees. Also Read: Prabhas and Rana Daggubati’s Baahubali 2 will CRUSH Aamir Khan’s Dangal record, reveals trade expert"